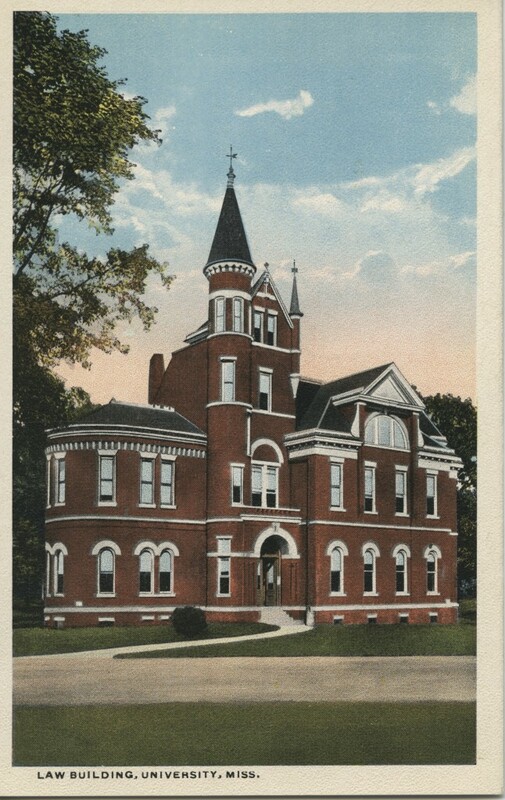 Constructed in 1889 at a cost of $35,000, Ventress Hall served first as the University library and then housed the School of Law from 1911 to 1929. It was used by the State Geological Survey from 1929 to 1963, and then was assigned to the Department of Geology. Thereafter, it was used as a classroom facility and, from the 1970s, for the Department of Art. In 1993, the State Legislature appropriated approximately $1 million in capital improvement funds for the restoration of Ventress Hall. At that time, the building was designed to house the offices of the College of Liberal Arts. When the restoration was completed in March 1998, Ventress Hall became the home of the College of Liberal Arts. In November 2011 water damage caused by broken steam pipes resulted in the temporary relocation of the College deans and staff during repairs of the walls, ceilings, and floors, construction of a new elevator shaft equipped with a new ADA compliant cab, and office addition on the second floor. Read about the July 22, 2013 Return of Ventress Hall and College of Liberal Arts Moves Back to Ventress Hall. 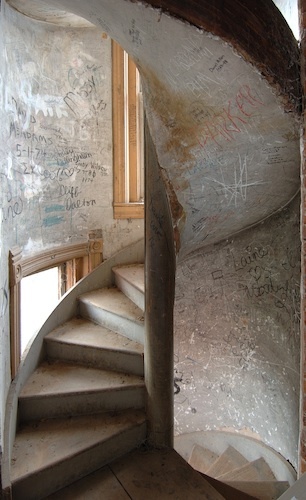 During the earliest years of the School of Law‘s residency in Ventress Hall (1911 to 1929), student graffiti began to appear on the interior walls of the building’s turret. An elderly Civil War veteran from Arkansas scrawled his name and military unit near the top of this tower after the turn of the century, and hundreds of students left their mark on the walls in the following decades. While renovations of the building restored Ventress Hall to its original Victorian splendor, this area was left alone (and closed off), allowing the memories to live on. On March 2, 2018, the University of Mississippi Chancellor’s Advisory Committee on History and Context’s work culminated with the unveiling of new markers for Barnard Observatory, Lamar Hall, Longstreet Hall and George Hall; a plaque recognizing the university’s enslaved laborers in the construction of Barnard Observatory, the Old Chapel (now Croft), the Lyceum and Hilgard Cut; and the plaque contextualizing the Tiffany window in Ventress Hall that recognizes the University Greys, a Civil War company of primarily University of Mississippi students that suffered 100% casualties—killed, wounded, or captured. 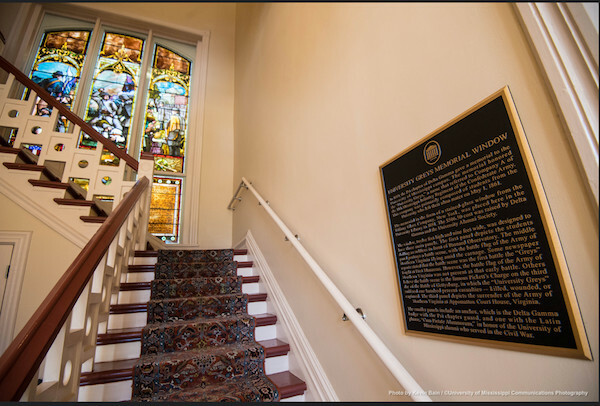 “These plaques are daily reminders of our obligation to learn from the past and commit to an inclusive future,” said Chancellor Jeffrey S. Vitter. Who was James A. Ventress?